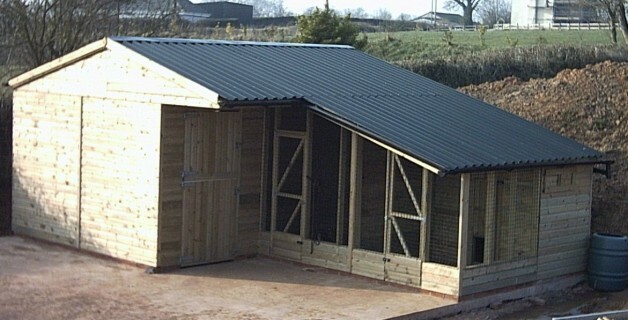 Atlas Timber Buildings and Fencing, Devon Stable Manufacturer. Atlas Fencing can produce bespoke Stables and Equestrian Buildings for both the leisure and professional equine market. Combined with our years of experience and tried and tested, quality craftsmanship, we can produce any manner of stable or field shelter you many require. Our excellent build quality is also backed up by our promise to use only the best tanalised, pressure treated timbers available, ensuring that your stable or Field Shelter will last. If your budget is tight and you have an existing Stable or Field Shelter which requires fixing we also provide a Maintenance service. Please call to arrange a free , no obligation visit . To see more of the stables that Atlas Timber Buildings and Fencing have produced, please take a moment to visit our Gallery. For a free, no obligation quotation, or simply would like some advice, please call Andy Milden on 01404 851 444.